Apple Campus 2 is coming along nicely. 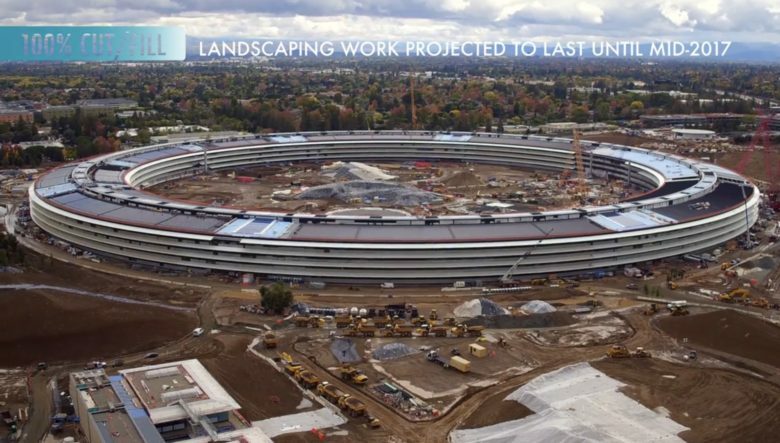 New drone footage of Apple Campus 2 reveals the impressive progress that has been made in recent months. The research and development center and many of the other buildings around the campus are now starting to take shape — and they look glorious in 4K! Apple employees can make thousands selling their login info. Apple has been busy scooping up real estate in North San Jose throughout 2015 and now we finally know what they might be doing with all that acreage. 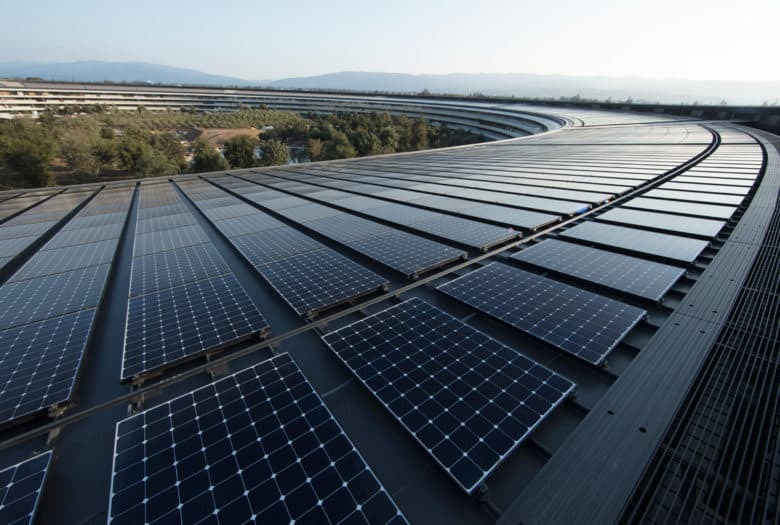 A new Apple campus is reportedly in development, and according to a report from the Silicon Valley Business Journal, it could be a lot bigger than the current spaceship campus that’s scheduled for completion next year. 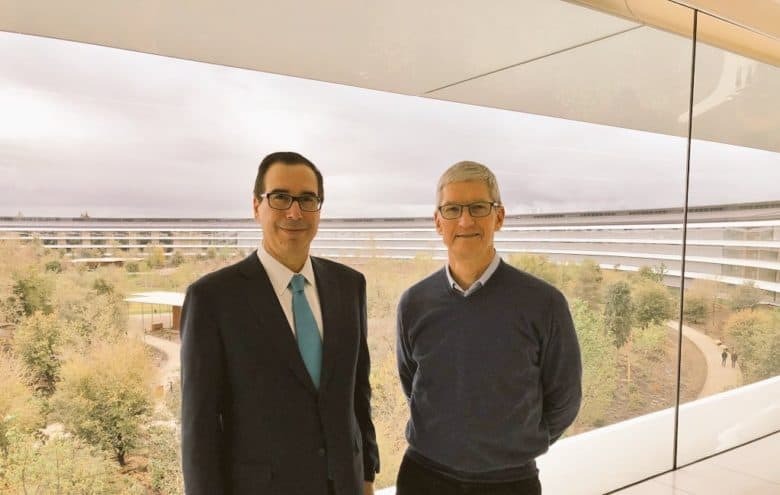 Come and hang out with Tim Cook and co.
Apple’s forthcoming $5 billion “spaceship” Apple campus may be designed to squeeze in a massive 13,000 employees, or the equivalent of 35 fully-filled Boeing 747s, but don’t worry: it’s got plenty of space for you, too. 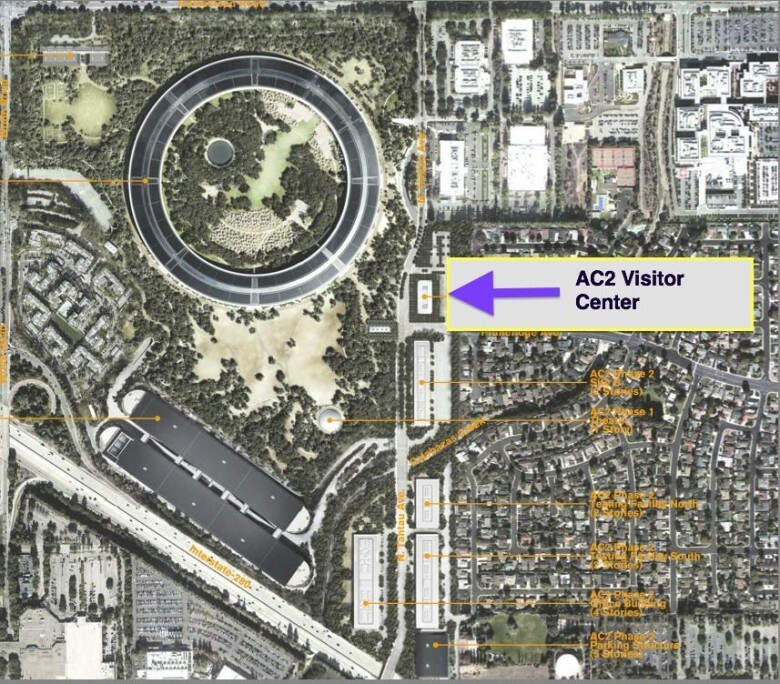 According to Apple’s plans for the new headquarters, the Apple 2 campus will include a glass-walled structure for visitors, boasting a 2,386-square-foot cafe, 10,114-square-foot gift shop, and rooftop viewing space, where visitors can gaze out over Apple’s domain while Tim Cook tells you that everything the light touches is his kingdom. 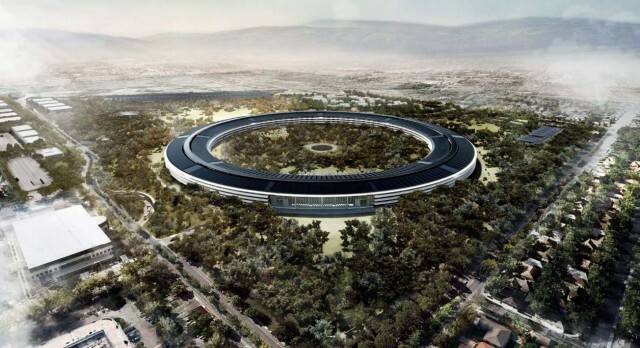 Is trouble brewing for Apple’s forthcoming Spaceship campus, set to be opened by the end of 2016? 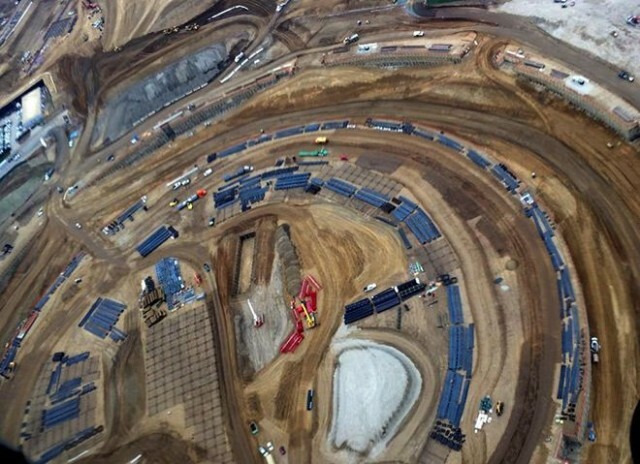 According to a recent report, Apple’s initial contractors for the project — DPR Construction and Skanska USA — are parting ways with Apple, and will be transitioned off the build over the next several weeks. It’s unheard of that you get to watch an Apple product being developed before your very eyes, but that’s exactly what’s happening with Apple’s new mothership headquarters — which we once referred to as the biggest Apple product ever built. 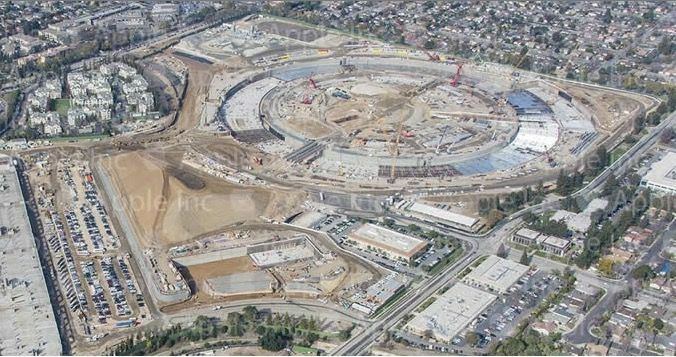 Despite not touching down officially until 2016, we’ve seen a steady stream of new images of Apple’s new campus during construction, many courtesy of the aerial photography of Bay Area traffic reporter Ron Cervi. In new images posted to his Twitter account, Cervi shows how the HQ is slowly taking shape, with concrete and rebar work continuing, alongside the digging of tunnels, ready for the foundation and retaining walls of the new structure.